Born in Medellín, Colombia, in 1932 , Fernando Botero is among the most renowned artists of his generation. While his childhood training as a matador inspired his early painting, he is best known for his sculptures of sensuously robust, exaggerated human figures, which have been exhibited in New York, Venice, Paris, Seoul, Berlin, Tokyo, Madrid, and Athens, among other cities. In the decades following his first exhibition in 1948 , Botero studied at the Academia San Fernando and the Prado museum in Madrid, and learned the technique of fresco painting in Italy. In 1960 he moved to New York, where he won the Guggenheim National Prize for Colombia. 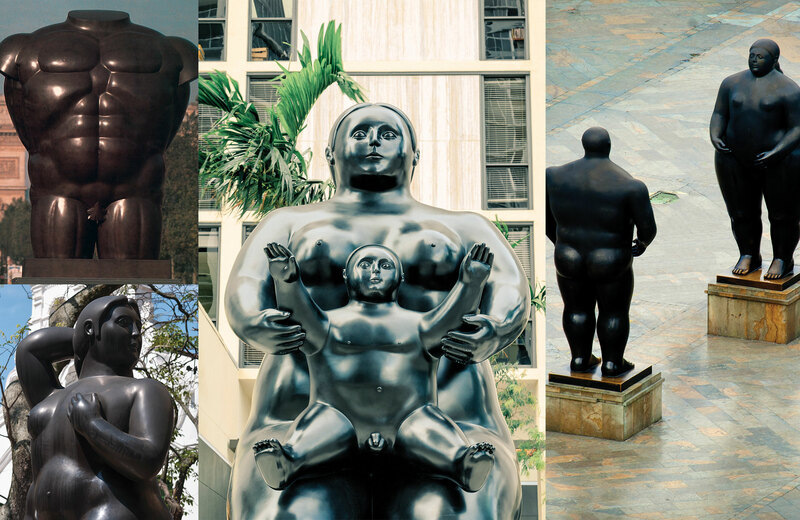 Botero has had numerous exhibitions worldwide in the most prestigious galleries and museums. His work is in the collections of institutions such as Solomon R. Guggenheim, the Museum of Modern Art, the Metropolitan Museum of Art in New York City, the Hirshhorn Museum and Sculpture Garden in Washington, DC, the Museo d’Arte Moderna del Vaticano in Rome, The State Hermitage Museum in St. Petersburg, and The Perez Art Museum in Miami.